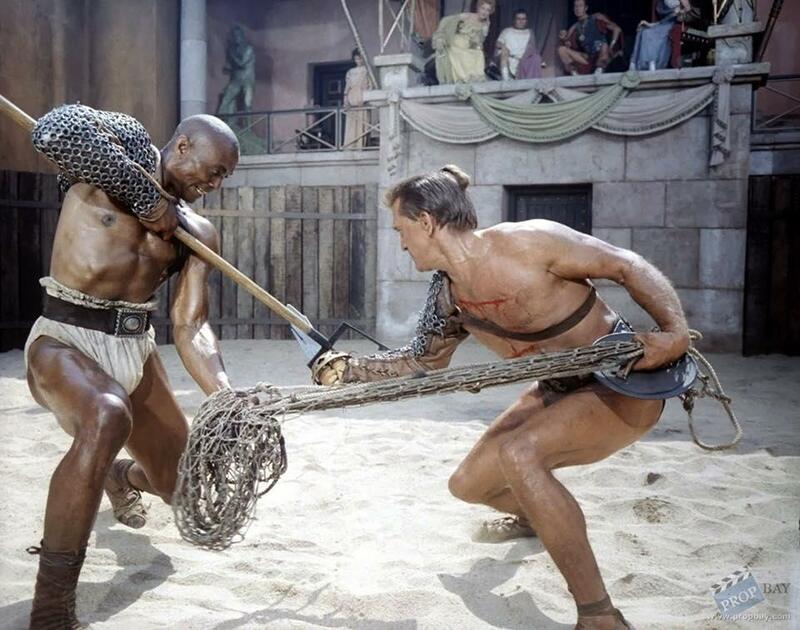 Spartacus is a 1960 American epic historical drama film directed by Stanley Kubrick, written by Dalton Trumbo, and based on the novel of the same title by Howard Fast. 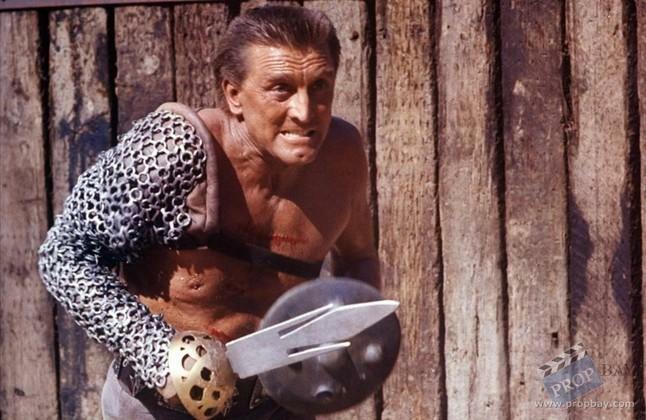 It is inspired by the life story of Spartacus, the leader of a slave revolt in antiquity, and the events of the Third Servile War, and stars Kirk Douglas in the title role. 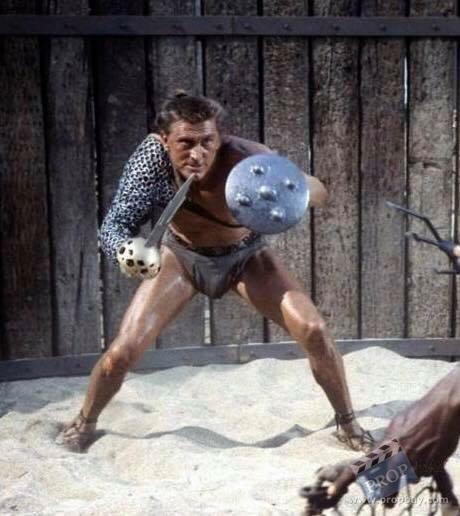 This forearm shield was created by the production for use by Kirk Douglas as "Spartacus" during the 1960 film. The vintage original 11" round forearm shield is constructed of cast fiberglass and ornamented with integral studs. 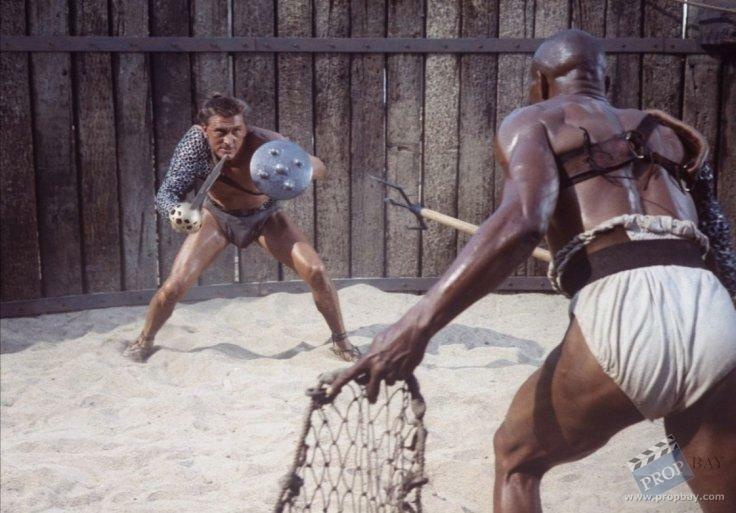 The back of the shield is padded with heavy black rubber backing and features a leather grip strap attached to metal brackets, though one side is detached. 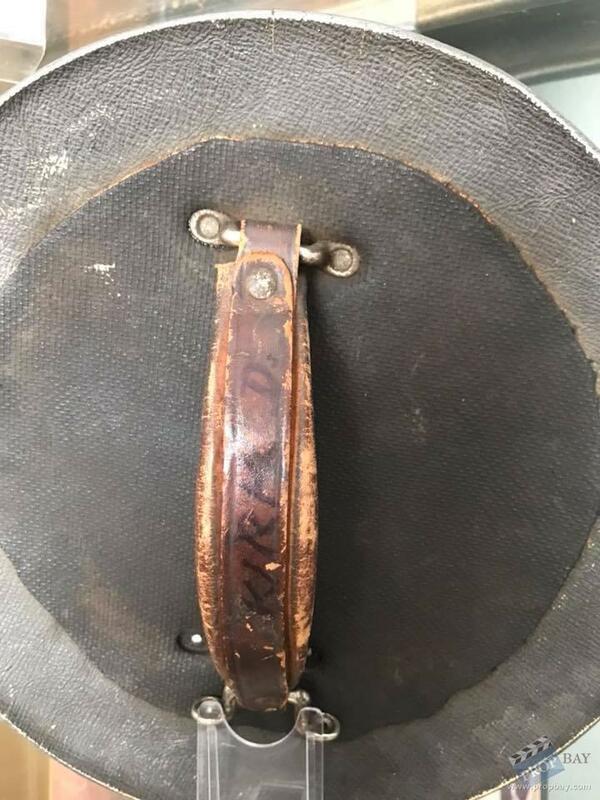 Handwritten on the leather grip strap is, "KIRK D.". 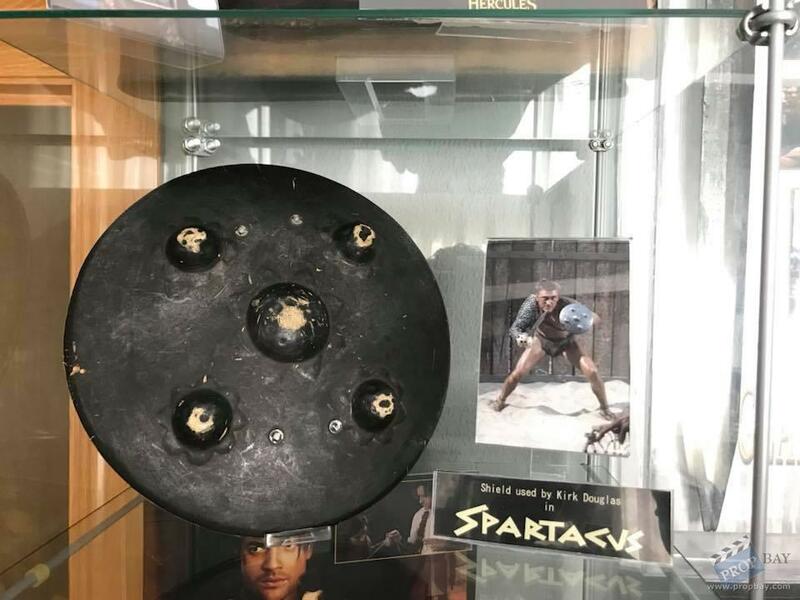 The prop was gifted to stuntman Thane Cornell, who worked on Spartacus for a year and half and who is reputed to have been killed over 18 times for production. 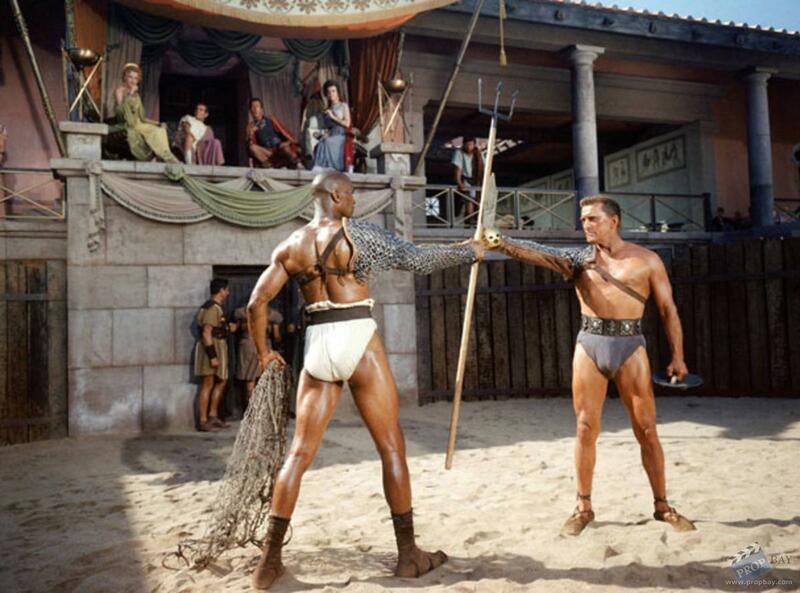 Added: 03-16-2019 - Viewed: 75 times.